The Crumpet: WHAT THE HELL MESS HAVE YOU MADE THERE ? Oh dear. Oh dear oh dear oh dear. My head is hung in shame. 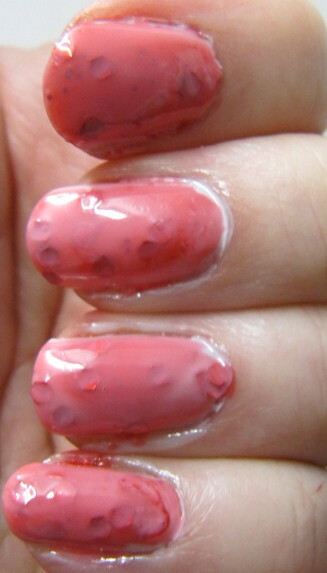 This is not just a nail fail, this is an EPIC nail fail. As I know some of you find me funny / like to laugh at me (that *is* the same thing, right ?) I thought I would share, to show that even people who paint their nails A LOT can get it terribly terribly wrong. Also, this was going terribly terribly RIGHT until I picked the wrong chuffing layer for my sandwich. Jelly sandwich just to clarify – 1 or 2 layers of a jelly polish or sheer polish, a layer of glitter, and a final layer of your sheer. I picked the best of the best for my sheer – 2 coats of Essie Marshmallow which I bought ESPECIALLY for this amazing idea I had for this challenge! Aarrgghh, don’t it make your green eyes wild with anger?! 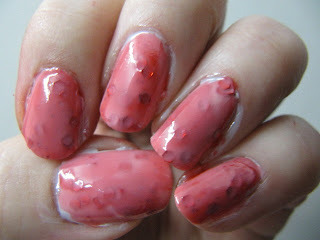 I’d had the AMAZING idea of white, red glitter, then white – so that it looked like blood cells under a microscope. 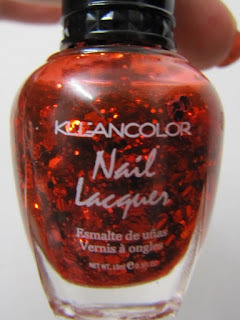 Unfooooooortunately, when I put the red glitter on (Kleancolor Red Hot) it was suspended in it’s own jelly!! Argh. 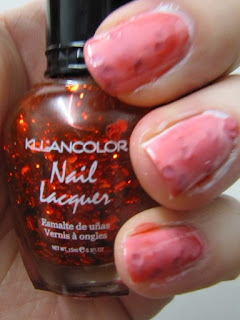 So then I ended up with a hideous corally thing, and I HATE coral with a passion. Not to be deterred, in for a penny in for a pound, I’ve started so I’ll finish, I applied my final layer, and it looked NO better lol. So this is Jelly Sammich / Holy Mess. Have yourself a good little chuckle at my expense – it is the season for spreading happiness, after all.